Can directly determine feel good level. Linen fabric quality is very important, different scale.ltd manufacturers with raw materials of cotton area is different, different manufacturers of pigment printing process is different, the quality is also different, nature price also is different; The most commonly used in the hospitality industry is all cotton, polyester TC cloth, polyester and cotton gold is tie-in, can both retain the cloth close skin feeling, and can solve the problem such as cloth and durable, washable, shrink. Durability, the hotel must pay attention to loss the balance problem between texture and washing, hotel change cycle and capital should be fully taken into account; Not because the pursuit of linen texture and ignore the durability problem of linen. Hotel cloth grass it is best to find according to your personalized professional manufacturers, have no brand is not important, customized according to demand the right specifications and grades, so as to meet the demands of the guests. 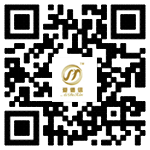 Is usually printed or embroidered words and LOGO of the hotel, but the four-star hotel is usually choose to plant the choose and buy of cloth grass, according to the news of their feedback is of good quality and no stimulation soft and reasonable price.